inner peace — to let go of that crazy world whizzing by for a moment, and to simply relax. We can reach this state with the help of many different meditation techniques. 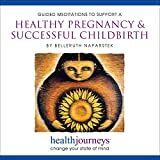 Do any of them help women who are trying to get pregnant realize their dream to become mothers more quickly? Can meditation even cure infertility in some cases? medical conditions or get you pregnant. Perhaps that assumption deserves a second look, though. Meditation is a wonderful way to find balance once again, and to say goodbye to negative emotions like anger, grief, worry and anxiety — at least for a while. Isn't that bound to increase your chances of getting pregnant? Many women do get pregnant in very high-stress situations. But feeling good about yourself and your life will boost your happiness, which is good for your relationship and may well be good for your fertility as well. Stress has widely been found to negatively impact a woman's chances of conceiving. There is nothing unscientific about the way stress causes a chain reaction that affects the whole body. Women who lead a busy, high-stress life may be sending their body the message that getting pregnant is not a good idea, because the baby may not be safe. Stress can actually prevent the hypothalamus, a gland in the brain that regulates ovulation, from working properly. That means stress can actually delay the release of your egg! And in even more extreme cases, the menstrual cycle may come to a complete halt because of traumatic situations. Do You Believe In Meditation When Pregnant? The benefits of meditation to relax continue beyond the preconception period. Stress isn't good for mothers, or babies in-utero. Meditation for pregnancy, whether it is through a prenatal yoga class or at home, may do your baby a very big favor. Research about "stress genes" is currently ongoing, and some scientists believe that exposure to big amounts of stress in the womb can alter certain aspects of DNA. If that is true, it could affect a baby for the rest of his or her life, and could also be passed on to future generations. Finally, expectant moms may be interested to hear that a form of self-hypnosis (which is a very deep meditation!) could help them get through labor and birth without feeling pain. Hypnobabies and hypnobirthing are programs that women start early on in pregnancy. Watch videos of women who use hypnobabies during their labor, and you'll be amazed to see that these ladies don't make any noise at all and have truly serene expressions on their faces. In other words, meditation for pregnancy does work. It is actually possible to meditate your way into not feeling any pain during childbirth! Heartstrings: Visualizations for Pregnancy is a program of music-evoked visualizations specifically created for use during the prenatal period. Each visualization and spoken affirmation was carefully created to create a mind body spirit connection. 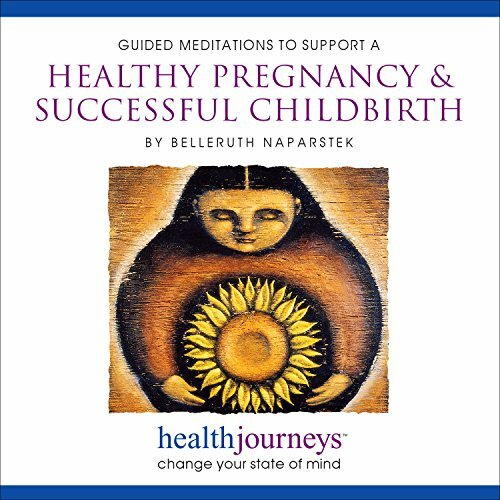 I recently read that you can even talk to your baby in guided meditation, ask him/her to change his/her position, so that the birth could go through normally rather than through C-section. Pretty amazing stuff. Also, what you're saying about self-hypnosis is very interesting, but it's probably dangerous as well, since something may go wrong and then how do you lose that trance? It's probably better to be in control, never mind the pain. But to have that option is pretty great, I imagine :). In recent years many Westerners have started Buddhist meditation techniques and have realized that they can be learned and applied to their lives as well.